This structure may appear traditional in its aesthetics, but it is very progressive in terms of the building envelope technology. 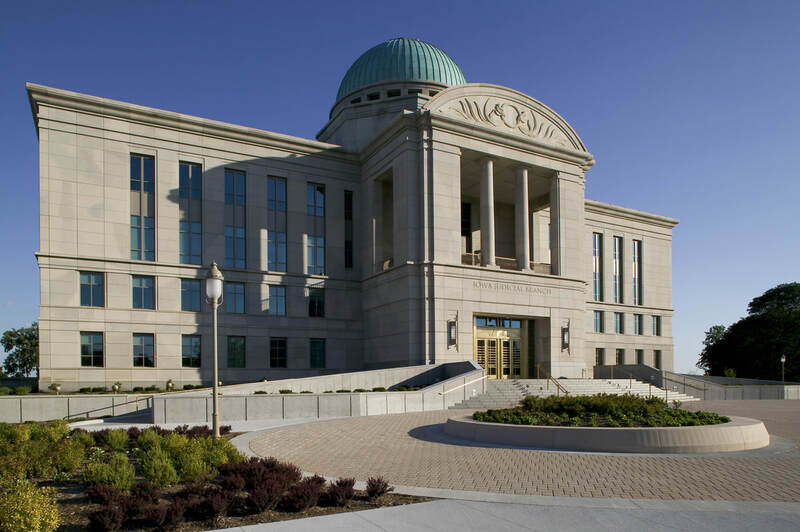 Open-joint rain screen limestone panels make up the façade for this judicial building. The integration of custom windows accommodates the continuous air barrier via the meticulous application of EPDM membrane seal at the interface construction between the windows and the precast air barrier wall. The wall assembly consists of a precast air barrier wall, three inches of mineral wool insulation outside of the air barrier in an exterior vertical space and an open-joint unitized limestone panel system. 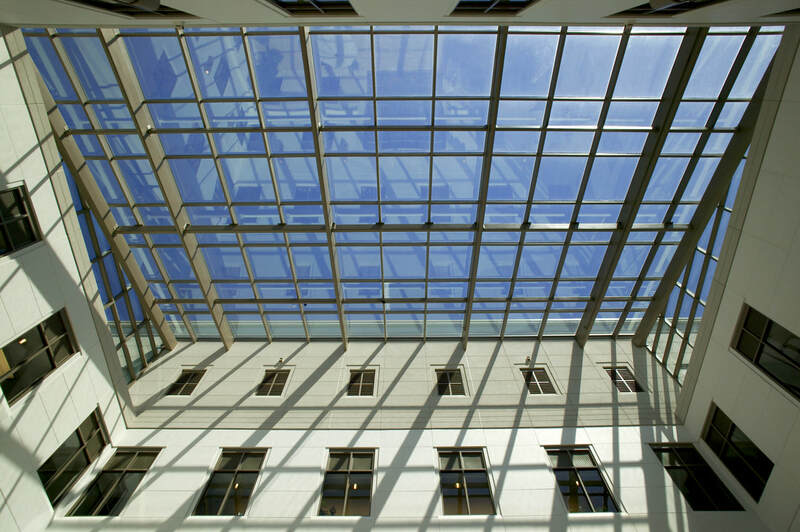 AWS had a single contract for the entire European rain screen building envelope including the two glass skylights and bronze balanced entrances.